Although Cathy was born in Columbus, Ohio (2-27-62) she lived in Cocoa Beach Florida - at least until second grade. From there she moved to Chautauqua County in Westfield, New York. Much of her life has been Ohio-focused though since her mother's family is mainly in the Akron area. Cathy attended a Quaker Boarding School on the East Coast where she learned about social conscience and the need to give back. "The Quakers are a very powerful community and made me what I am." 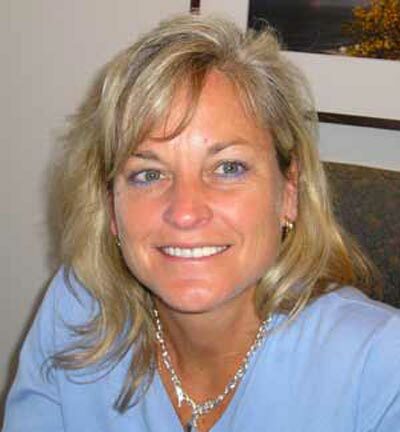 She earned her degree from the University of Michigan in 1983 and her law degree from Ohio State in 1986. That same year she went to work for Squires Sanders and Dempsey, a major law firm in Cleveland. Her specialty was international corporate mergers and acquisitions. She focuses on leveraging technology since she "has an intense passion for it." In 1989 she fell in love with and married a man from England and moved to practice law in London. 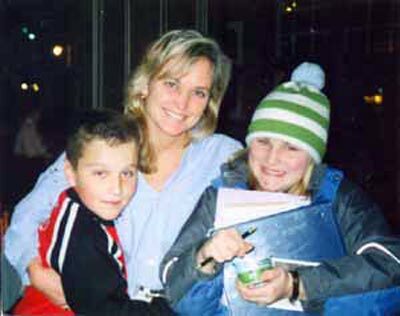 It was in London that she had her two children, Rachel (now 13) and Charlie (now 11). While in England she started a consulting practice, and it was here that she started to get passionate about technology. Technology wasn't the only thing Cathy was concerned with at the time. 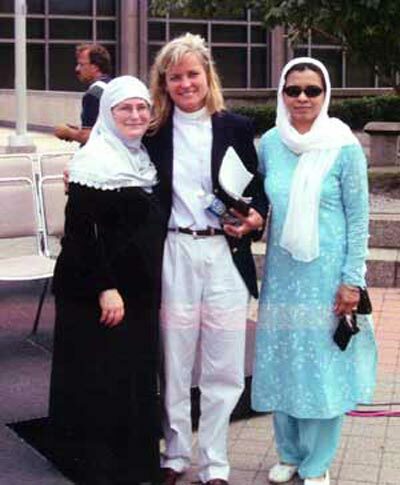 She became an ordained Episcopal Priest in 2000 after attending The University of Kent, Canterbury Theology College. While in London she had her own 11th century church, St. Leonard's. In Cleveland she can often be found at Trinity Cathedral, doing a mid-week Eucharist service. She wants to bring faith to the business community and is trying to determine how to take her priesthood and use it so that people can taste some of it in everything she does. She knew she wanted to be a priest since she was 14 years old. At that time, women were not supposed to be ordained. In the mid 90's she went to the Bishop of London and told him "I can not out run this calling anymore." The Bishop helped her and told her he wanted her to be ordained to the work place, not a church. "God chose me to make a difference in the business world. I was forced to wait so that I could be a better tool." She agreed to be a priest in the workplace and was immensely fulfilled by the experience. Now she finds that people come to her "quietly, for direction and help, because I understand their world." Her consulting firm, Cool Crypt, planned to launch in an abandoned church with a beautiful crypt in it. However, Compaq donated some other wonderful space to them. Cool Crypt was a very innovative practice of which Cathy is justifiably proud. It dealt with both government and corporate issues. Her company was designed to take old economic businesses into new economic realities. When her marriage ended she closed Cool Crypt and brought her two children back to America. "Cool Crypt came with me in my heart and my head." She went to work for the law firm of Thompson Hine in 2005 where she is primarily a corporate transactions and securities attorney. She spent some time in a "think tank" with fifty or so people who embrace change in a variety of ways. One of those who participated as a presenter was Guy Kawasaki, (best known for his work with Apple on the Macintosh) a man she has great respect for. Out of her thoughts, his thoughts, the think tank experience and years of observation of the world and more specifically Cleveland, Cathy realized "Cleveland, Ohio needs a revolution." 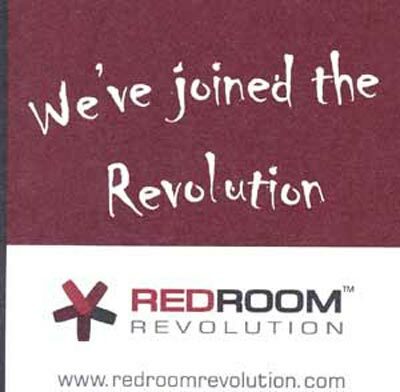 In early 2005, The Red Room Revolution was formed to address economic development issues based on technology to transform Northeast Ohio. It was set up to imitate a format established in London, where she worked with Tony Blair's Office of the E-envoy. The concepts were "built for here but could be used anywhere there is a dying community." The Red Room in City Hall is known as the community room where public and private figures meet. So it seemed the most appropriate place to start a revolution though "It is not meant to be political. Cathy says Cleveland needs a revolution because it appears to be paralyzed. Starting the revolution did not make her very popular with a lot of people, but she never minded that. "A perceived threat became attached" to the process. She considers herself a transformational agent and knows that with change comes controversy. 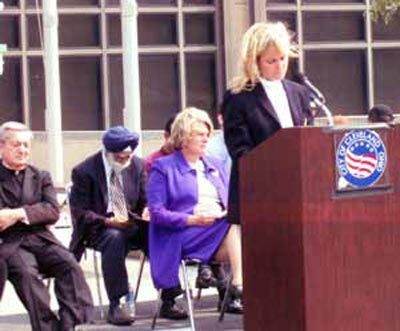 Although Cathy is known for her support of Cleveland's previous mayor Jane Campbell, she herself is not political. "I see myself in a servant model, not a political leader." 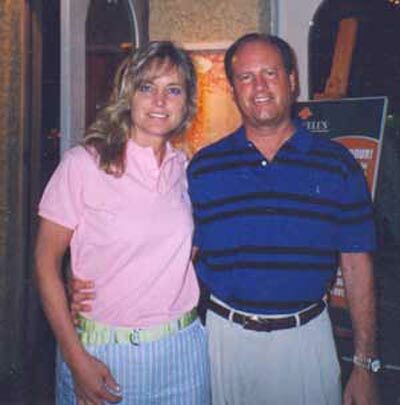 On May 14, 2005 Cathy married Tony Panzica, president of Panzica Construction. Panzica Investments was formed and Cathy committed to invest in 24 companies in 18 months to jumpstart Cleveland's economy. "I just wanted to put my money where my mouth is." The investment group launched The Greater Cleveland Children's Technology Workshop, a hard-hitting attempt at reaching the city's future - its children. There will be a summer camp (icamp�) which will provided programs based in technology and aimed at students age 4 to 14. After school programs are also slated to begin starting in the Fall of 2006. Cathy talks of the One Mayfield project, in which the entire city of Mayfield Heights is wired with hotspots for ready access to the Internet. No need to find an Internet Caf�. If you're in Mayfield Heights, you're connected, even at the pool! She sees that as a prototype of what should be happening in Cleveland. She remembers the first major transaction she was part of. The opposing law firm had a partner male attorney who asked her to pour his tea. She remembers a major global transaction with 45 people in the room and she was the only woman. There were many such situations and Cathy admits it has been daunting at times. "I was forced to have people focus on smart rather than femininity. When I established in a room that I was intelligent they were forced to give me respect." She notes that women in business still shy away from leading things, partially because they think it is expected of them. She counters this by drawing women into discussions with questions invoking their opinions and ideas. Her advice to young women is simple; "Just do it. Go out and shine!" Cathy recognizes her own talents and also knows that people may think she is aggressive. "I continue to be loving while I am emphatic. I am loving, giving, smart and I am a doer." She goes on to say that "Women are wrong to stop being loving and supportive. They think they must be hard or harsh to be in the male world and that makes me very sad when I see it." She tries to encourage women to be the balanced profile that they are. She also has very down-to-earth view on sexual advances in the workplace. She "just handles" the frequent propositions. "I handle it by feeling flattered, rather than bitter. I don't see it as an invasion of my privacy or offensive. This is not a helpful way to work with male peers." She notes that women who can do that will succeed in the male world. They will not be seen as a threat or someone who can't handle "natural male instincts." "It is a very male world and I participate in it rather than fight it." "Girls are not empowered to think as business people." So she strives to be a positive role model for young girls. She welcomes the chance to talk to young women entrepreneurs and share what she has learned so they can move on to the next step with that extra knowledge and support. Cathy goes for a run every day at 5:00 in the morning. She is happiest with many balls in the air preferring to keep herself very busy. "There is a lot I would like to accomplish." She has been a competitive swimmer all of her life, at one time devoting 4-5 hours a day to swimming. She carries that same competitive nature into the business world. Who knows what the future holds for Cathy. Keeping the revolution on track is a major focus of hers now, as is bringing new, exciting innovations to Cleveland. Of course she will also support her law practice and will never abandon her ministry. Cathy speaks things other people think. "I know who I am and what I have to give. I talk about the hard stuff no one else will talk about." As an example she mentions that she is not afraid of dying. If she were to die tomorrow she would like people to say she always jumped to the next curve and got things done. Her ideal marker would read "She said she'd do it and she did it." "I want people to know I was driven and I not only talked - I performed." It would be a tribute well deserved. Many people complain about "the world today." Many people stand outside and throw rocks. Cathy Horton walks through the storm of rocks and goes right inside. Once in there she takes her training and experience as a minister, a lawyer, a woman, a business woman, a wife and a mother and applies them all to the task at hand. Cathy Horton and her Revolution may well be the answer to Cleveland's economic problems. In any case, she can only be commended for her efforts to "do something" rather than just bemoan our circumstances.